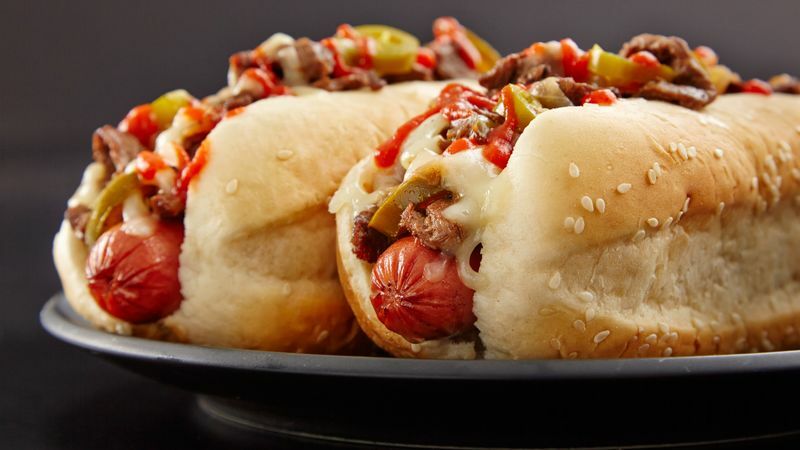 Cook the hot dogs and put them into some oversized hot dog buns. Top with your cheesesteak mixture. Add a few jalapenos on top and a nice helping of sriracha before serving!